Change in organizations is inevitable and happens naturally as organizations adapt to the various forces pulling at the organization, from the outside and from within. However, most of the changes that take place in organizations are neither intentional nor aligned across the organization, they happen locally as a result of many small choices made by many individuals. 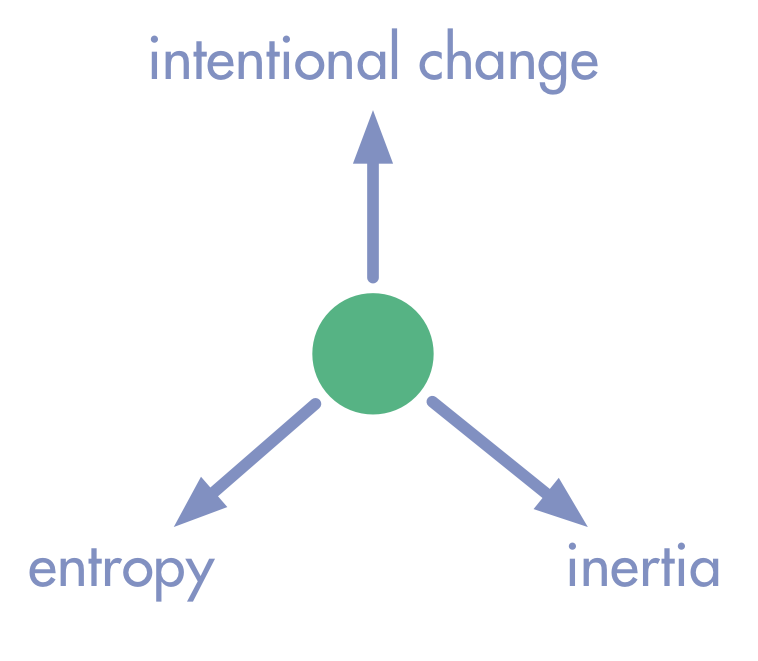 Lots of small and unrelated adaptive changes will lead to giving in to inertia (doing more of the same) and entropy (many independent and unaligned decisions). This is the opposite of intentional change – changing in an organized and aligned way. All organizations benefit from building capacity for intentional change in order to become and remain effective.